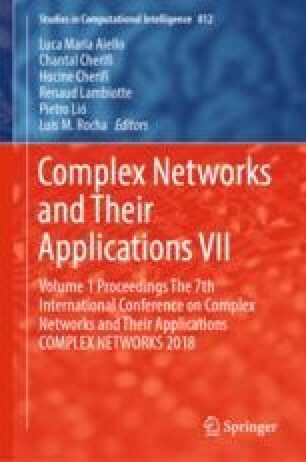 This paper describes Links in Context as a novel approach for detecting and characterising the community structure in networks when further information on the properties of nodes is available. The general idea is straightforward and extends the well-known Link Communities framework introduced by Ahn et al. by additionally taking node attributes into account. The basic assumption is that each edge in a social network emerges in a certain context, which is constituted by the node attributes shared by its two endpoints. In this regard, our approach focuses on subspaces of attributes that are relevant for explaining the emergence of particular edges. The proposed method allows for detecting highly overlapping community structures where nodes can be part of many groups emerging in different social contexts.